Bag of fifty 1" green super soft sponge balls. Bag of fifty 1" orange super soft sponge balls. 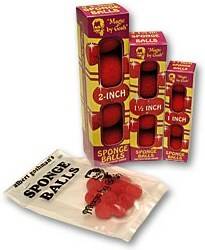 Bag of fifty 1" yellow super soft sponge balls.